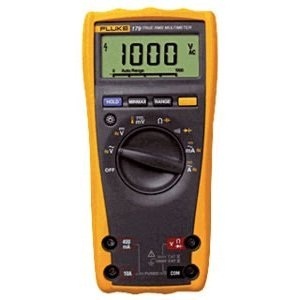 Trace Graph: Oscilloscope-like display for AC voltage measurement. 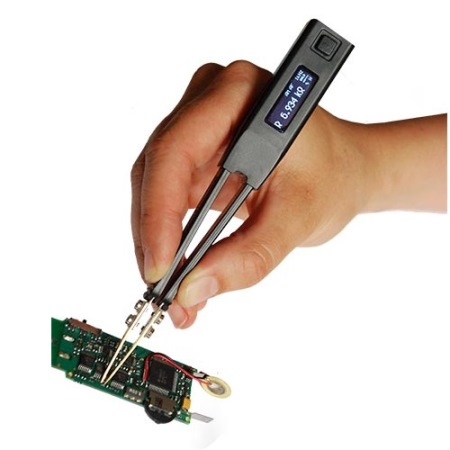 Smart Tweezers™ are a handheld LCR meter that provides users with a simpler method of identifying and evaluating Surface Mount Devices and troubleshooting complex electronic systems. The unique design combines a set of precision gold-plated tweezers and a powerful, yet small digital LCR-meter in a lightweight device. 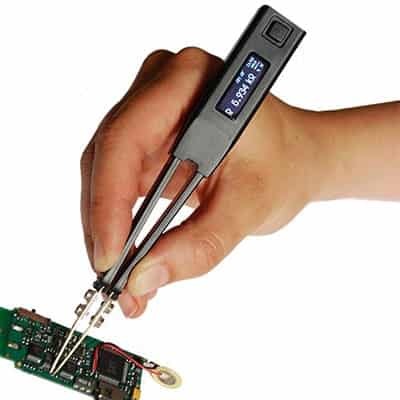 Powered by a Li-Ion battery, Smart Tweezers can identify the type of component and measure for Inductance, Resistance, Capacitance, and ESR values with no set-up. Electronic manufacturing has begun using Surface Mount Technology, where small components (referred to as Surface Mount Devices or SMDs) are mounted directly to a PCB, opposed to the older through-hole method, where wire leads were threaded through holes on the PCB. SMDs are generally very small and may or may not have wire leads or other distinguishing characteristics, making them more difficult to tell apart from one another. This may lead to lost component values, or confusion between components. Smart Tweezers offer users an easier way to sort and identify these components, as well as perform on-board measurements and debugging. The gold-plated tips are Swiss made by IDEAL-TEK S.A. and provide a reliable contact on even the smallest component, either loose or mounted. Smart Tweezers are also able to test conventional components that may have wire leads that are too short to fit in test terminals. Measurements are done faster using Smart Tweezers™. The automatic identification function eliminates unnecessary trial and error, thus saving time. When in contact with an SMD, Smart Tweezers automatically determine the type of component, determines the proper measurement range and test frequency, and measures for L, C or R with parallel and series mode. The evaluation results are then instantaneously available on the display, as well as the component type, test parameters and more detailed component analysis such as Z and ESR.The bright OLED display instantly shows the values, the component type and test parameters used, as well as a more detailed component analysis, such as Z and ESR values. Smart Tweezers are easy to use with just one hand, and without the need to set-up between measurements, users can focus on the task at hand. Sorting, testing and troubleshooting become more efficient and cost effective. 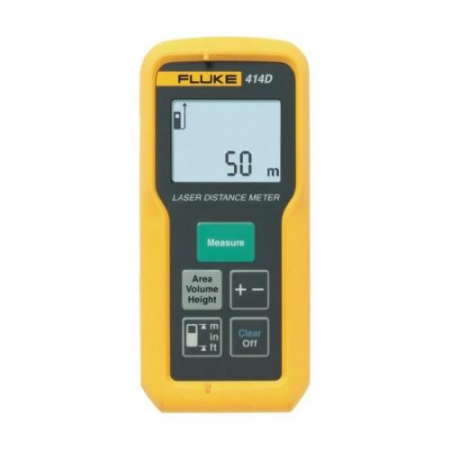 The handles on the device are a 4-wire connection and shielded to assure low capacitance and resistance offset while measuring. 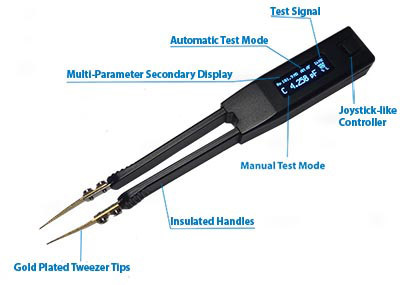 •Smart Tweezers LCR meter test various component types, including secondary components for Dissipation Factor (D), Quality Factor (Q) as well as other functions that result in a more detailed component analysis. •The built-in Equivalent Series Resistance (ESR) mode helps better understand the inherent resistance, a behaviour typically found in capacitors across selected frequencies. •A Diode mode allows Smart Tweezers to test diode polarity and indicates if it is short. •A Continuity detector sounds a beeper for resistance that reads below the set thresholds. This function also allows users to easily seek out a shorted conductor within a circuit. 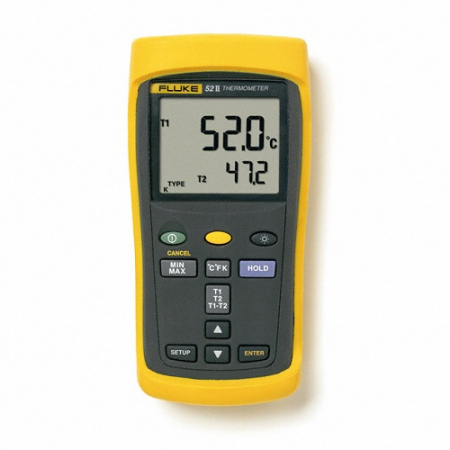 •Manual modes allows the user to test for specific parameters such as L, C, R, Z or ESR. this more also improves component type identification for in-circuit testing. 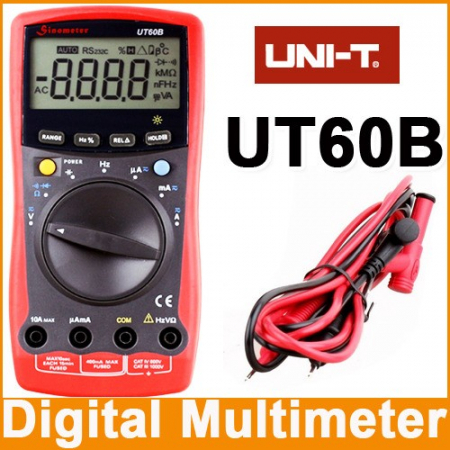 •Variable test signal output from 0.25 to 1.0 Vrms allow test precision for different situations, such as in-circuit evaluations and loose leaded ceramic capacitors. •Visible and audible tolerance modes for performing component sorting. •A Math Null function allows users to store pre-measured offsets and improve measurement accuracy.